This Cucumber Gin Fizz Cocktail is a play on the classic gin fizz. With cucumber infused gin and a splash of soda, this is a perfectly refreshing drink for those summer barbecues, family gatherings or romantic evenings with the sunset. I like to make my own infused spirits. 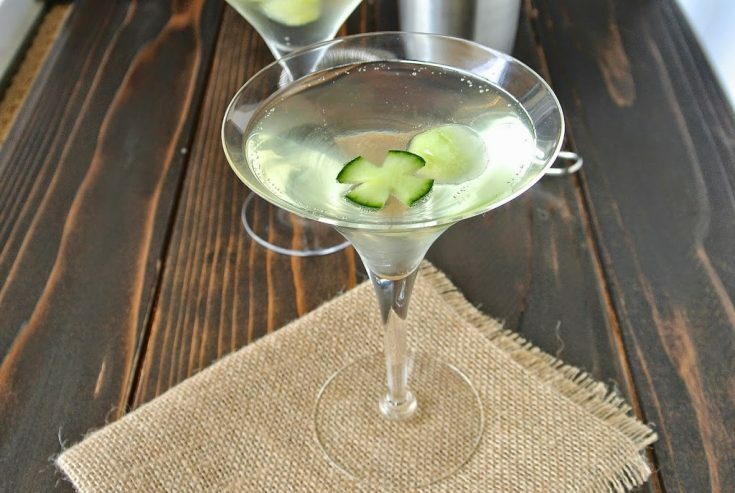 Cucumber has such a refreshing taste it is perfect for this light drink. I poured gin into a sealable container. 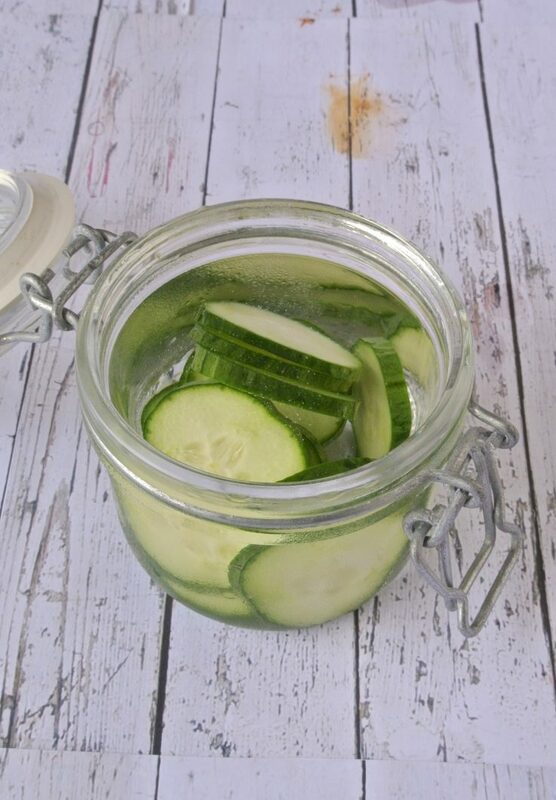 Added slices of cucumber, sealed the jar and let it sit at room temperature for about 4 days. After 1 day the cucumber flavor starts to come through but the longer you leave the slices in there, the stronger the flavor. The gin will also start to turn green. So depending on how strong you want the flavor, how long you leave it is up to you. A fun element to this drink, and to enhance the cucumber flavor, I made cucumber ice cubes. Use a small melon baller to scoop rounds from the cucumber and freeze them. Makes for a pretty garnish. I also have a recipe for a Ginger Gin Fizz made with gin, lime juice, ginger ale and fresh mint, recipe link below. 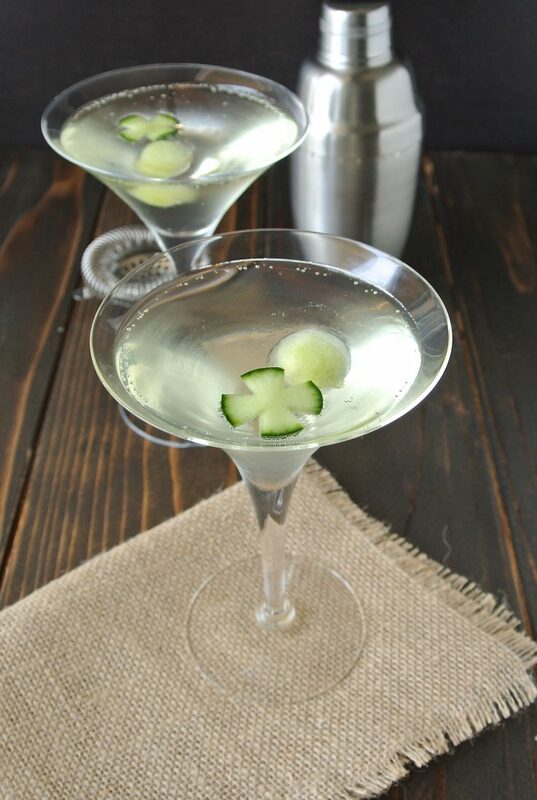 If you’ve tried this Cucumber Gin Fizz Cocktail or any other recipe on the blog then don’t forget to rate the recipe and let me know how it turned out in the comments below. I love to hear from my readers! With cucumber infused gin and a splash of soda, this is a perfectly refreshing drink for those summer barbecues, family gatherings or romantic evenings with the sunset. 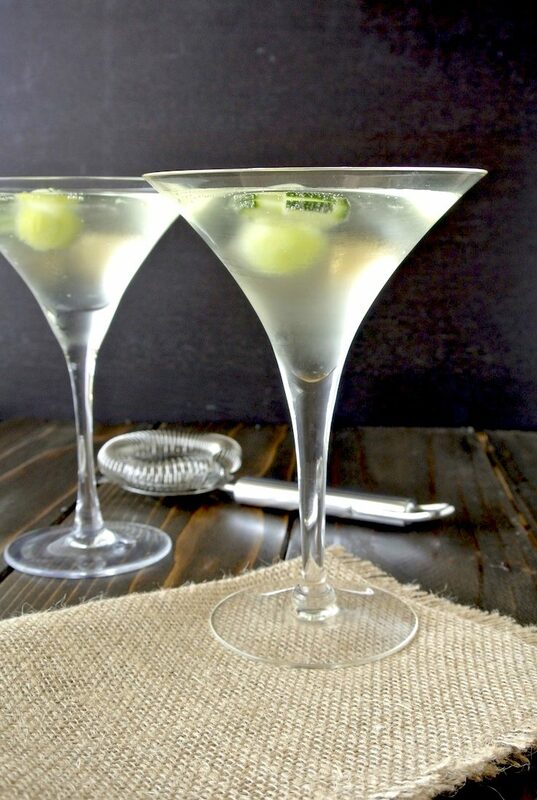 Fill a cocktail shaker with ice, add the cucumber infused gin and triple sec, shake for 10 seconds. Add a cucumber ice cube and top up with soda water. * Pour 4 ounces of gin into a sealable container. Add 4 slices of cucumber, seal and let sit at room temperature for up to 4 days. ** Using a mellon baller, scoop a round of cucumber and freeze. So refreshing and a wonderful adult beverage Hugs!